Larry the Cable Guy to Jingle All Your Way! WWE Studios is still making movies and still putting noted wrestler Larry the Cable Guy into sequels to movies that he wasn’t in to begin with. The latest is Jingle All the Way 2, a sequel to the 1996 film that starred Arnold Schwarzenegger and Sinbad as competing fathers trying to get the hottest toy of the year. Larry the Cable Guy will be teamed with Santino Marella, who actually is a wrestler. Alex Zamm of Tooth Fairy 2 fame will direct. Jingle All the Way has seen a resurgence of popularity recently, buffered on by True 90s Kids remember the 90s, and fans of Phil Harman. 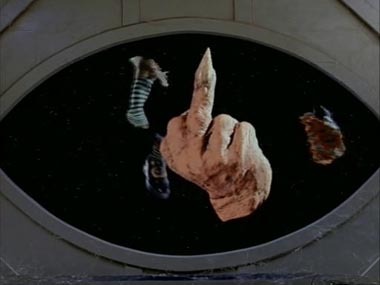 Let us not forget the legion of fans of Jake Lloyd, who remind us every day that Jingle All the Way is far from the worst thing Jake Lloyd starred in. WWE Studios also announced The Marine 4, another DTV sequel where The Mix will return after starring in The Marine 3 (John Cena starred in the original and Ted DiBiase starred in The Marine 2) WWE Diva Summer Rae will also star. This year will see WWE release the animated Scooby-Doo! WrestleMania Mystery, the Leprechaun: Origins reboot of the Leprechaun franchise (starring Hornswoggle), and See No Evil 2. The original See No Evil starred Kane and was one of WWE’s first films. The sequel is directed by the Soska sisters, Jen and Sylvia Soska, and will again see Kane go on a killing spree. No word on if Kane will kill Larry the Cable Guy, but maybe they are saving that for See No Evil 3. 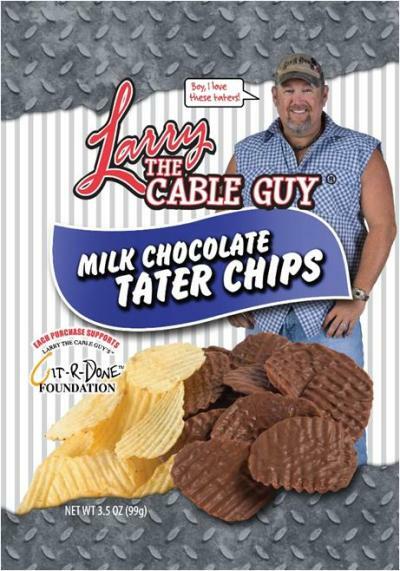 You know these are good chips because he’s not just a cable guy, he’s a health inspector! Scooby-Doo and the Mystery of the WWE! Scooby-Doo and the Mystery Incorporated crew (or whatever the other characters who ride in the Mystery Machine call themselves when they’re not stoned) are back, this time investigating a mystery at WrestleMania! ZOINKS! This animated feature looks like it is in the spirit of the hour-long The New Scooby-Doo Movies episodes that featured real guest stars like Batman and Robin, Sandy Duncan, The Harlem Globetrotters, and The Addams Family. Because there will be animated versions of all your favorite wrestlers: Vince McMahon, Triple H, John Cena, Kane, The Miz, Brodus Clay, Santino Marella, Sin Cara and AJ Lee! I only know who some of them are, so if having one of them in animated form is something ridiculous, please let me know! The feature will be co-produced by WWE Studios and Warner Brothers. 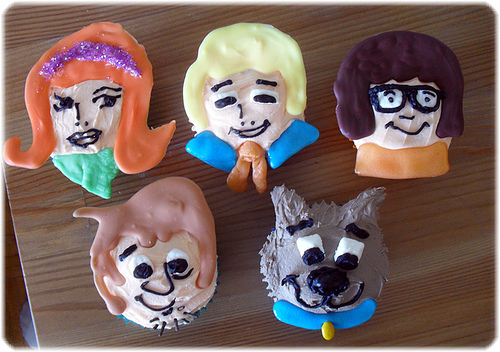 Learn how to make cool Scooby-Doo Cupcakes here!